A beautiful little downhill Par Three. 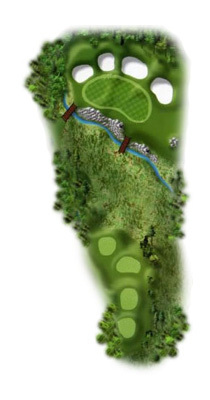 As with any Par Three, club selection is paramount, especially with the elevation change. Too short and you may find yourself in the hazard. Too long and you may find yourself in one of the four bunkers behind the putting surface.